Russian engineers have developed a relatively inexpensive technology for controlling ammunition with remote disruption. This was announced by the general director of the Moscow NGO "Device" Yuri Nabokov. The shells explode at a certain point in the flight, without touching the obstacle or target. This allows you to more effectively hit the living force, armored vehicles, tanks, drones and small-sized targets. Ammunition of this type will be tested in 2019 and will enter the arsenal of the newest combat vehicles of the Russian army. What advantages this technology will give the Russian Armed Forces - in the material RT. 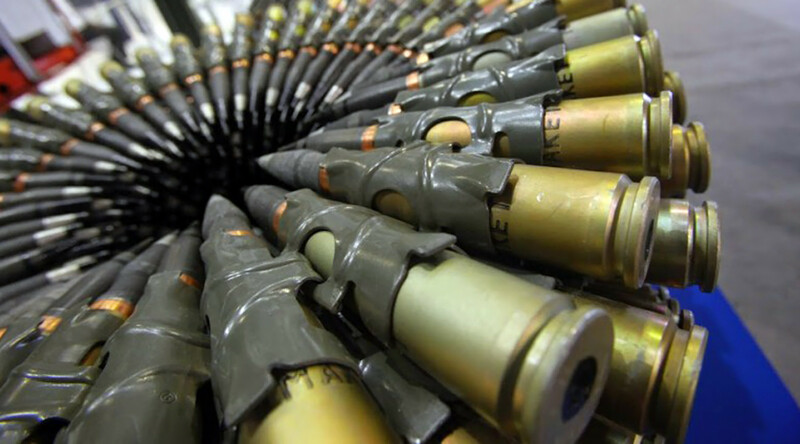 Yuri Nabokov, General Director of NPO Pribor (part of NPO Tekhmash), told TASS that the company's specialists had developed an inexpensive ammunition management technology with a remote undermining in the flight path compared to Western counterparts. Nabokov noted that the projectile is capable of exploding at a given point, striking the target with fragments. The principle of operation of such munitions is reminiscent of an interception carried out by an anti-aircraft guided missile. It explodes without touching the object, destroying it with the help of damaging elements. Remote detonation makes it possible to effectively destroy live forces (including those hidden in engineering fortifications), a group of unmanned aerial vehicles, all types of low-flying aircraft, armored cars and cause serious damage to tanks. Nabokov said that domestic development favorably differs from the offspring of the German corporation Rheinmetall. Technology engineers from Germany suggests the installation of special equipment for armored vehicles, while the Russian does not require this. "We have laser data transmission, and this is a separate unit - we do not touch the design of the weapons system. There is a machine in the combat unit, you can pick it up, modernize, put the block there, nothing more, "said Nabokov. In a conversation with RT, candidate of military sciences Sergey Suvorov noted that in the West they went "expensive way", deciding to use a complex and rather capricious system for controlling the rupture of ammunition. "On the muzzle of the western guns are installed special coils, which, when the projectile is launched, imparts a pulse to it with the time of deceleration to tear. For example, an ammunition detonates in 0.3 seconds, flying 200-300 meters. The Western principle is that the cannon is made under a shell. Of course, this is much more expensive than what we have developed, "- said Suvorov. The expert is sure that the principle of the NPO "Pribor" technology is more simple and less expensive. Domestic shells can be loaded into any gun, which is installed on the equipment with an additional unit (laser emitter) and an antenna. "The moment of detonation is controlled by means of special coded laser radiation. The ray is aimed at the flying projectiles, and on it an automatic command is sent to the detonation at a given point, "Suvorov explained. The technology of the NPO "Pribor" is designed for 30-mm shells, which are included in the ammunition of armored personnel carriers, infantry armored vehicles, tanks and anti-aircraft missile systems (SAMs). In 2019, these munitions will be tested at the BMPT "Terminator", on which 30mm 2A42 cannons are installed. © Scientific and Production Concern "Tehmash"
In October 2016, Nabokov reported that the company had begun testing "intelligent" 57-mm ammunition for unmanned combat modules AU-220M "Baikal" developed by TsNII "Burevestnik". The artillery unit is designed for armament of BTR-82 and the latest armored vehicles - the Boomerang armored personnel carrier, the T-15 BMP and the Kurganets-25 armored vehicle. Also, Baikal is installed on the self-propelled antiaircraft artillery complex 2C38 Derivatsiya, created on the basis of BMP-3. The product has an incredible rate of fire (120 rounds per minute) and is capable of destroying the widest range of ground and air targets. The missile for the AU-220M is equipped with a miniature fuse with artificial intelligence, which at the time of the shot programs an explosion. "This time is automatically calculated by the computer depending on the distance to the target. Flying to the target, the ammunition explodes and creates a cloud of several thousand shrapnel balls that can disable small-scale drone or, for example, a reconnaissance quadrocopter ", - explained earlier general director of NPK" Techmash "Sergei Rusakov. 57-mm unmanned combat module AU-220M "Baikal"
Sergei Suvorov believes that ammunition with remote undermining will change the picture of the battle, significantly increasing the damaging power of armored vehicles. In his opinion, the Baikal module is an extremely promising development along this path - a 57-mm cannon with updated ammunition will be able to hit even well-protected tanks. "At domestic armored vehicles at such a high rate of fire (120 rounds per minute), the firepower will radically increase. In a short period of time, you can hit almost any target, including heavy equipment, "Suvorov noted. In an interview with RT, Nezavisimaya Gazeta's military observer Vladimir Mukhin said that "intelligent" ammunition allows the military to disregard accuracy, since a cloud of attacking elements covers a fairly large area. "Remote-explosive shells will facilitate the conduct of complex military operations. With a high probability, the enemy simply can not find shelter from this flurry of fire, "Mukhin stressed. According to him, the technology of NPO "Pribor" will be useful in local conflicts. "Intelligent" ammunition will be able to destroy militants, who often fire from trenches or firing points in cities. "These shells will be suitable for the destruction of enemy manpower in closed premises. This is very important, especially in urban conditions, where the most severe and bloody battles are always unfolding. It will be possible not to resort to the services of mortar gunners and fire on a flat trajectory, which is considered more effective, "explained Mukhin.